Cost to be confirmed but likely to be around £20 for 2 courses, £24 for 3 courses (plus service and drinks). This is a pay on the day event, but please book with secretary@anthonypowell.org so we ensure we have reserved a large enough table! 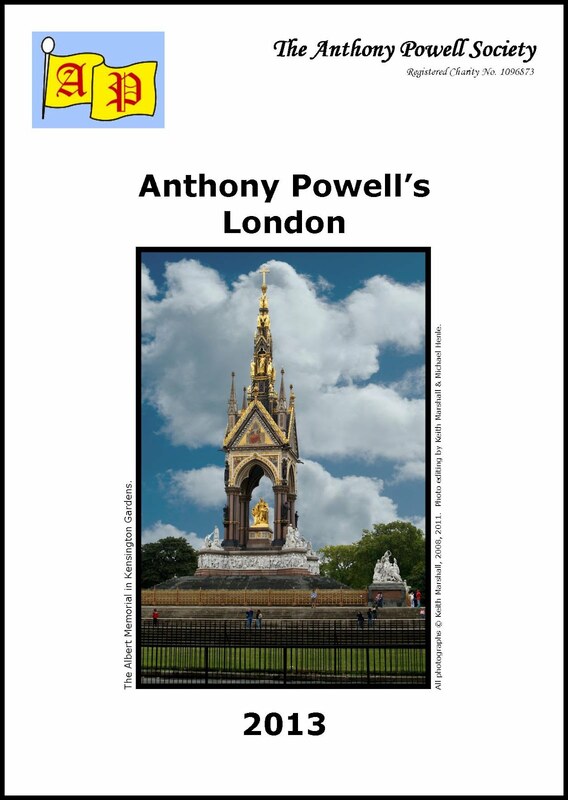 The 12th Annual General Meeting of the Anthony Powell Society will be held on Saturday 20 October 2012 at the Conference Room, St James’s Church, Piccadilly, London, W1J 9LL, UK commencing at 1400 hrs sharp. Members only at the formal AGM; non-members will be welcome at the talk. Refreshments will be available during the meeting. If you intend to attend please email secretary@anthonypowell.org. Members voting papers will be mailed with the next Newsletter in early September. 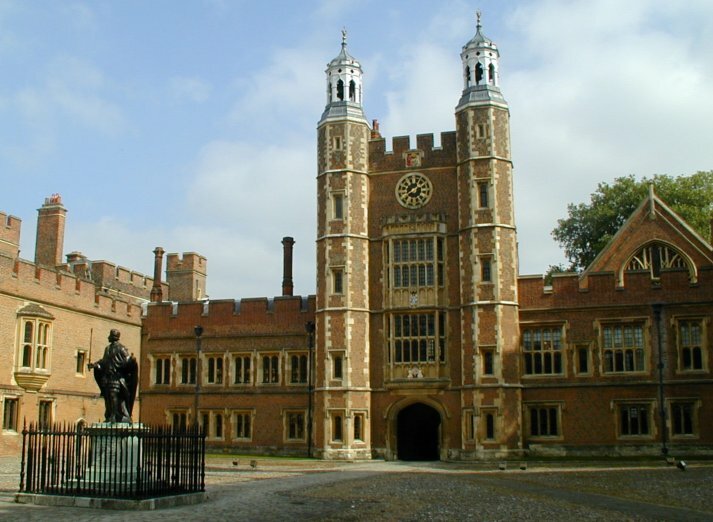 The Anthony Powell Society is pleased to announce the 7th international conference, dedicated to the work, life and times of Anthony Powell, is to be held at Eton College, Powell's alma mater. A formal call for papers will be issued September 2012. Further conference details and booking information is expected to be available in Spring 2013 and may be obtained from conference@anthonypowell.org. Those interested in either submitting a paper or attending the conference may pre-register and be placed on the priority mailing list by sending their name, email and mailing address to conference@anthonypowell.org. AVAILABLE NOW! 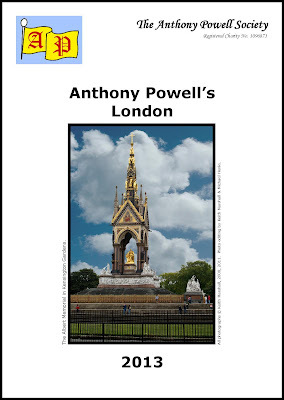 The Anthony Powell Society's 2013 calendar of Anthony Powell's London. Thirteen specially commissioned photographs by Keith Marshall showing aspects of Anthony Powell's London as it is today. Includes: Albert Memorial, Hill Street, Maida Vale Canal, Ashley Gardens and Chester Gate. One month to a page, printed on card and designed to be hung on the wall. 210 x 298 mm. Shrink wrapped. Will be mailed in a stiffened envelope. Copies may be ordered by emailing secretary@anthonypowell.org for details of credit card and cheque payment; or PayPal payment to secretary@anthonypowell.org. fax 020 8020 1483, email secretary@anthonypowell.org. The Wallace Collection Restaurant will be open following the lecture for those who wish to dine. 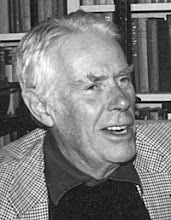 Novelist, biographer, critic, journalist and popular historian, AN Wilson has been a lively and forceful presence in English literary life for three decades. He has written more than 40 books, including a five-volume novel sequence, The Lampitt Chronicles. His 1988 biography of Tolstoy was reissued earlier this year. In this lecture, he will offer some thoughts on Anthony Powell’s military interests and his narrative technique as a novelist.